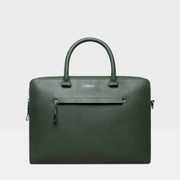 Briefcase in vegetable tanned leather. Briefcase in vegetable tanned leather. Classic design. 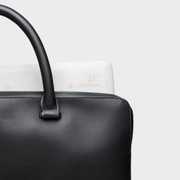 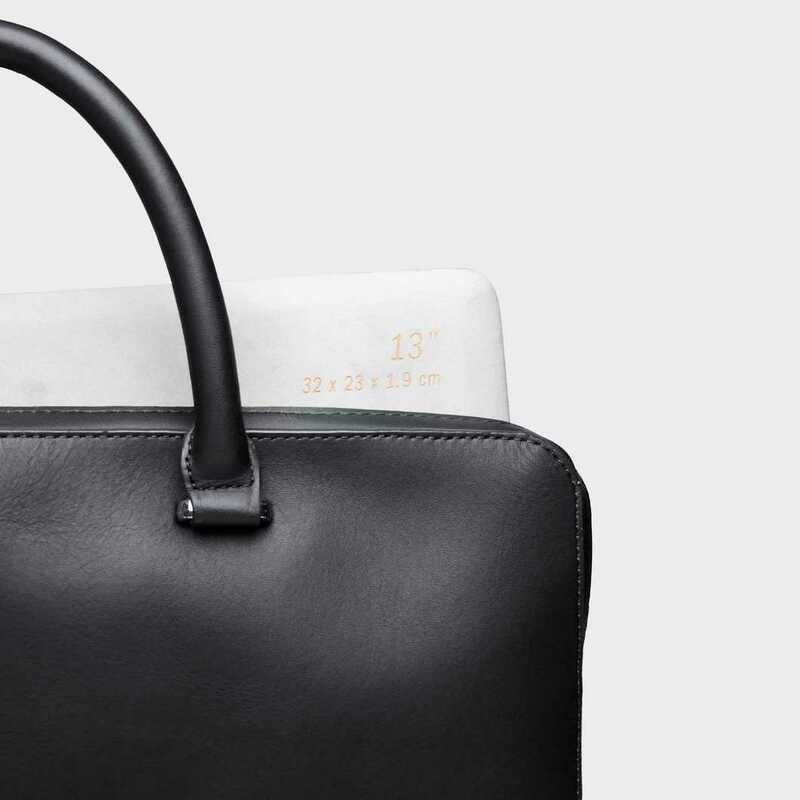 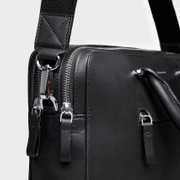 The briefcase has two compartment, one main compartment, and one laptop compartment - fits most 13'' laptops. 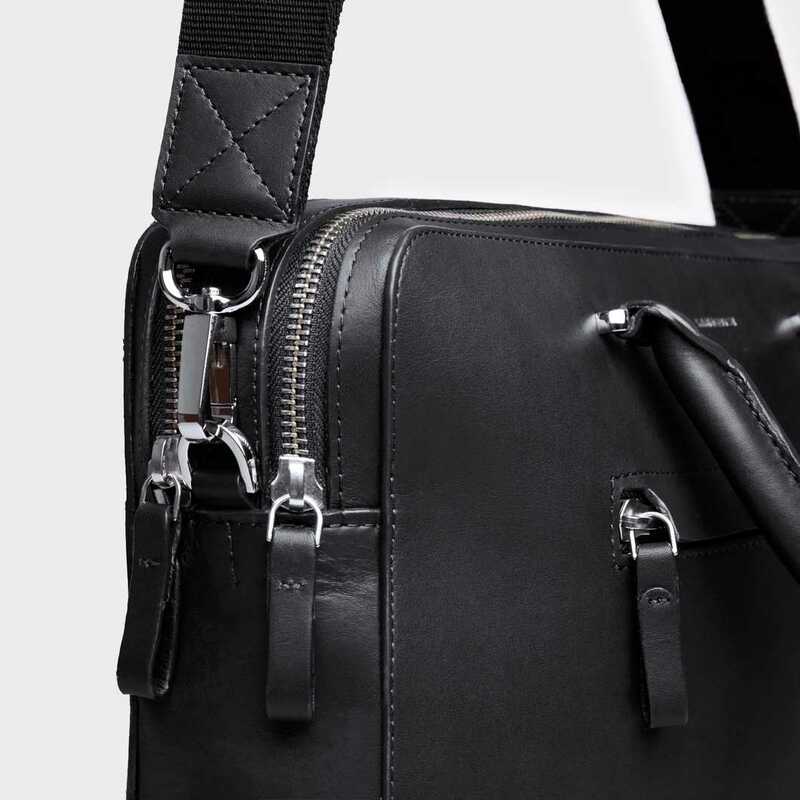 The shoulder strap is adjustable and removable. 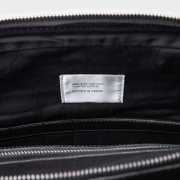 Inside features three slip pockets, three pen slots and one zipper pocket to help you keep organized. 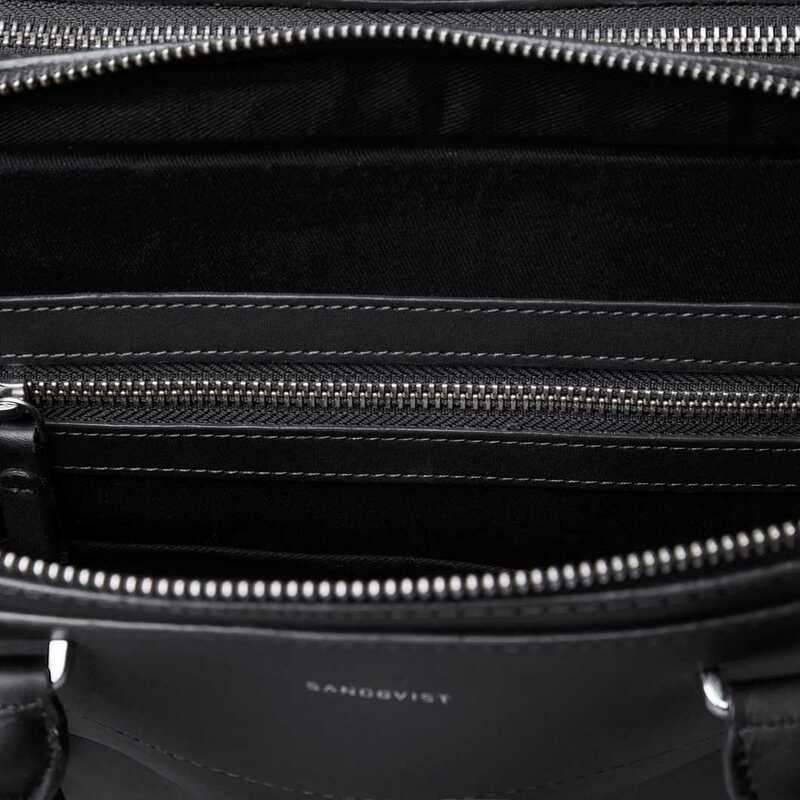 The leather is durable and will age beautifully over time which makes LESLI the perfect companion. 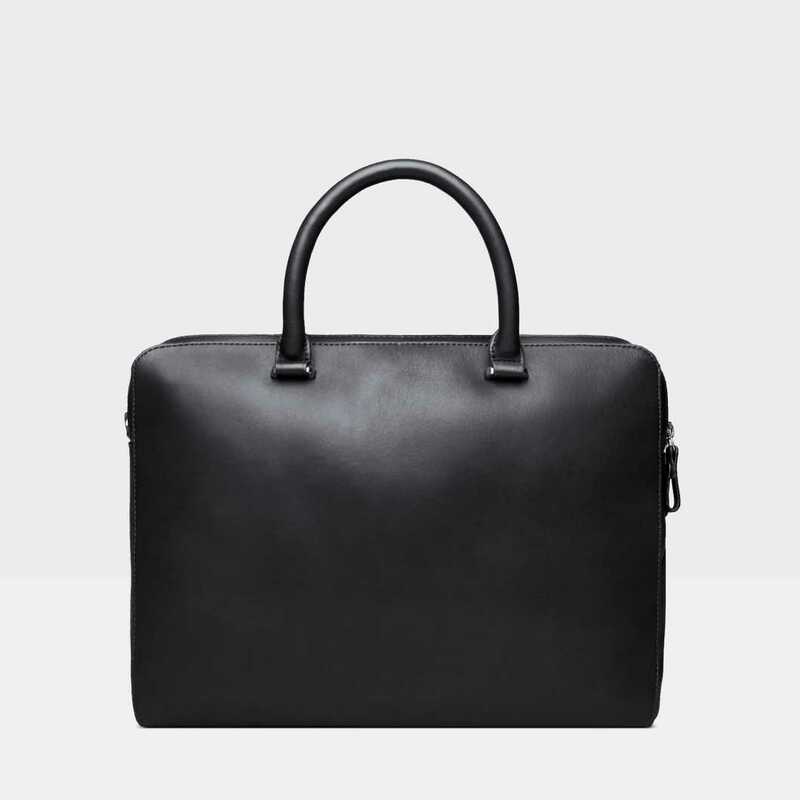 Material: Vegetable tanned leather. 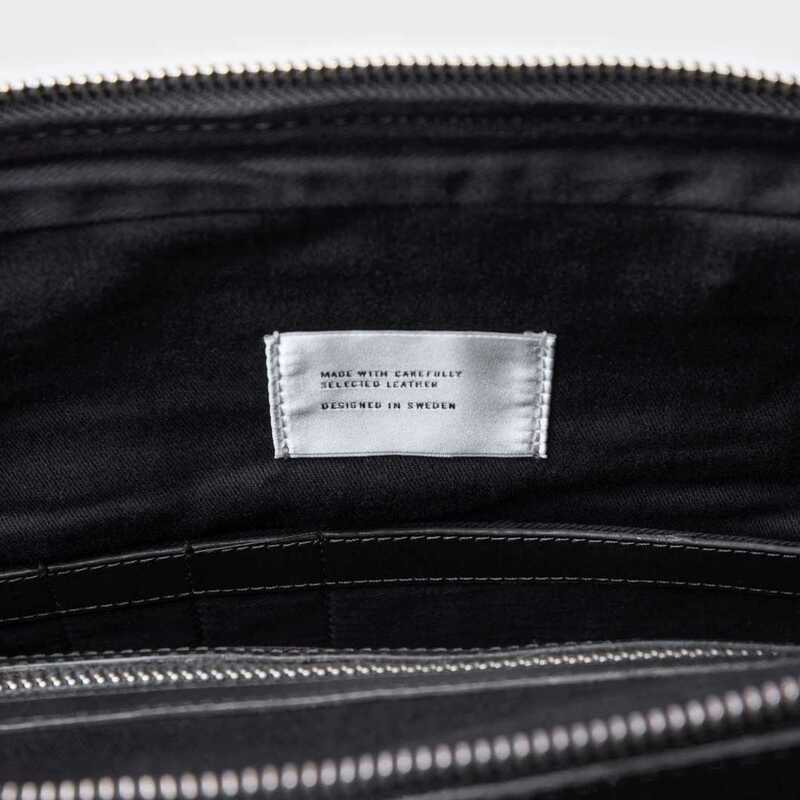 Lining in 100% organic cotton twill.